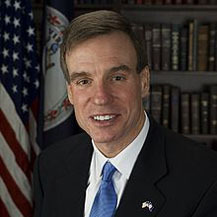 U.S. Sen. Mark Warner (D-VA), Vice Chairman of the Senate Select Committee on Intelligence, issued the following statement after Special Counsel Robert S. Mueller III delivered his report on Russia’s interference in the 2016 U.S. presidential election to U.S. Attorney General William Barr. “Congress and the American people deserve to judge the facts for themselves. The Special Counsel’s report must be provided to Congress immediately, and the Attorney General should swiftly prepare a declassified version of the report for the public. Nothing short of that will suffice. “It is also critical that all documents related to the Special Counsel’s investigation be preserved and made available to the appropriate Congressional committees.